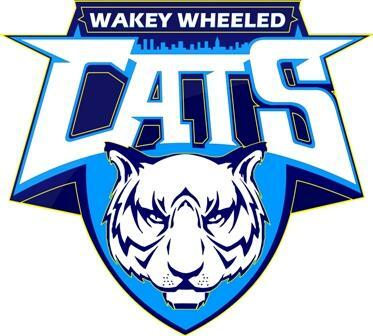 Wakefield’s original roller derby league, Wakey Wheeled Cats, has been invited to compete in the first ever British Roller Derby Championships. Roller derby began in the UK in 2007, and the Cats were one of the first 20 leagues to form in Britain. The Championships mark a defining year for the sport and will see 72 women’s leagues from England, Scotland, Wales and Northern Ireland compete in the first formal league structure for roller derby ever seen in the UK. The teams have been divided into four tiers and will take part in games across the country throughout the year. Playing in the Central North division, the Cats will face Peterborough’s Borderland Brawlers Roller Derby, Sheffield’s Hallam Hellcats Roller Derby, Mansfield Roller Derby and Wolverhampton Honour Rollers throughout the year, with the first game for the Cats against Mansfield on June 28. The Championships bring fresh challenges to the Cats, who will be competing against all of the teams for first time. The Cats leave behind the winning games and learning experiences from last year and will be focusing on the new challenge that lay ahead. 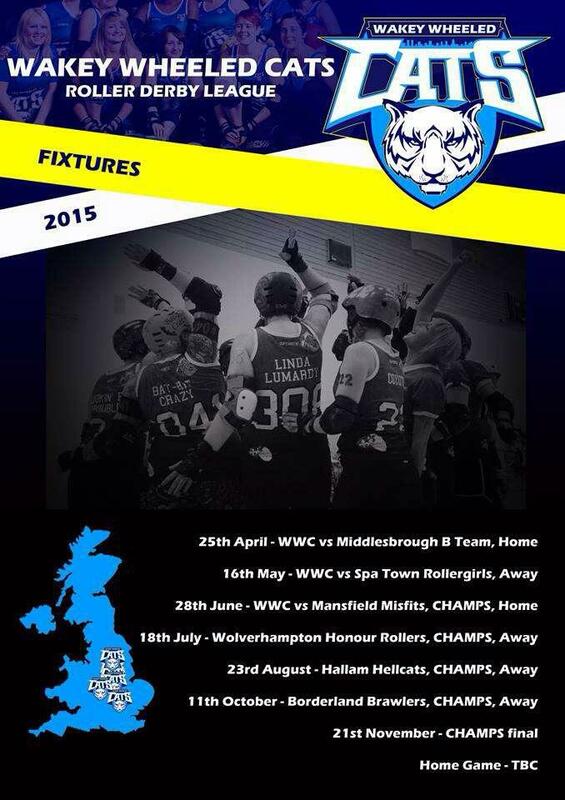 Wakey Wheeled Cats champs fixtures. Sports England Bring Team England Bootcamp to the Cats!